Enrich is the most professional manufacturer of LED light in China since 2003,as a manufacture can offer widely product range in order to meet our customer in different request for LED light industry. For more than 11 years expreience R &D in LED lighting Enrich is a group company ,we earlier founded in Hong Kong and founded in Shenzhen 2011 ,is a high-tech company which is mainly engaged in scientific research, production, technical support and service of LED semiconductor illumination. We run our factory under ISO9001:2000 and ROHS mark system. Covering an approximate area of 10000 m2, among which 3000 m2 is for R&D and office and 7000 m2 is for workshop. 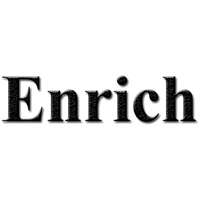 Enrich is equipped with numerous of advanced experimentation equipment and full automatic production pipeline, and has an annual production capacity of 7,200,000pcs for LED lights. We have a strong R&D staff who are professional in the areas of LED application, electronics, illumination, structure, LED special power supply, technical design and so on. They are devoting themselves to the research and development of LED illumination and have acquired patents for many items. With industrious hardworking, we have developed super high brightness LED with low degradation and launched many series of LED lighting products, including Series universal for both Indoor and Outdoor application, Series for Project and Landscape lighting, Series for Traffic lights and Screen Display, Series for Indoor Decoration, Series for Power LED solar lights, Series for Furniture's Lighting Source, Series for Power LED lighting and Series for other common LED lighting. Besides, we also have developed Power Supply Series special for LED lighting which will match LED products much better than traditional power supply. Most of our products have gained CE, UL, ROHS certificates and so on. What we believe in is that "Sincere cooperation for mutual benefit". What we keep as our tenet is that "High quality is our responsibility for customers and high quality is the only condition for our eternal development, and what we always do is to provide customers with top-ranking products, technical support and service. Our products have a high reputation and hot market in Europe, North America, Australia, Taiwan, Hong Kong,middle east countries,Asia and so on. Our indoor new LED tube light can be made 10W with an output of 1000lm and power LED bulb can be made 5W with an output of 300lm. We are dedicated to improving the Color Rendering Index , Luminous Efficiency and Luminous Flux of LED illumination and being a pioneer in the prosperous LED industry. We believe in the policy of "quality is our priority & customer is the first".Enrich will offer the best quality and the best service to you.